How do we embrace outside ideas and perspective? How do we ensure not falling behind critical change? How do we challenge conventional wisdom? David Lykken, a 45-year mortgage industry veteran with hands-on ownership experience at three independent mortgage banking companies including as an owner operator, and as a mortgage technology entrepreneur who took a start-up software company public. Gary Ort, former president of Texas Capital Bank’s Mortgage Finance Division, with executive mortgage lending experience spanning more than two decades that includes managing operations and sales in retail, correspondent and warehousing areas. Jay Brinkmann, retired Chief Economist and Senior Vice President of Research and Education at the Mortgage Bankers Association (MBA), has devoted years in Washington engaged in the regulatory/legal/legislative side of a number of fights for the mortgage industry. Marc Helm, recently president and CEO of Reverse Mortgage Solutions, Inc. (RMS), a 40 year-plus veteran of the financial services and mortgage banking industry, including as one of the largest Ginnie Mae securitizers, originators and servicers/subservicers in the reverse mortgage industry. Mitch Kider, educator and managing partner of Weiner Brodsky Kider PC Washington D.C., has represented the mortgage banking industry for almost four decades and is known as a troubleshooter for lenders in the industry representing banks, mortgage companies, homebuilders, credit card issuers, and other financial service companies in a broad range of litigation and regulatory and compliance matters. David Kittle, CMB, former MBA Chairman and current president of the Mortgage Collaborative, brings more than 40 years’ mortgage lending experience as owner of three independent lending companies and in executive business development roles with the most respected brands in the industry. Joseph Murin, previously president of Ginnie Mae, co-founder of The Collingwood Group, and founder of JJAM Financial LLC and Home Buyer Connect LLC, brings more than 40 years’ diverse experience in the financial services, mortgage, and banking industries, including as CEO of several large financial organizations. Les Parker, a 40-year veteran of real estate finance, has executive mortgage banking experience in capital markets, servicing, operations, production and financial management, and has in recent years advanced the RegTech vision with LoanLogics a technology and services provider focused on improving mortgage loan quality, performance, and reliability throughout the loan lifecycle. If you are, or aspire to be, a world-class mortgage lender or warehouse lender, reach out to Les Parker at Les.Parker@AinsworthAdvisors.com to learn more about working with Ainsworth Advisors or visit: http://ainsworthadvisors.com/. 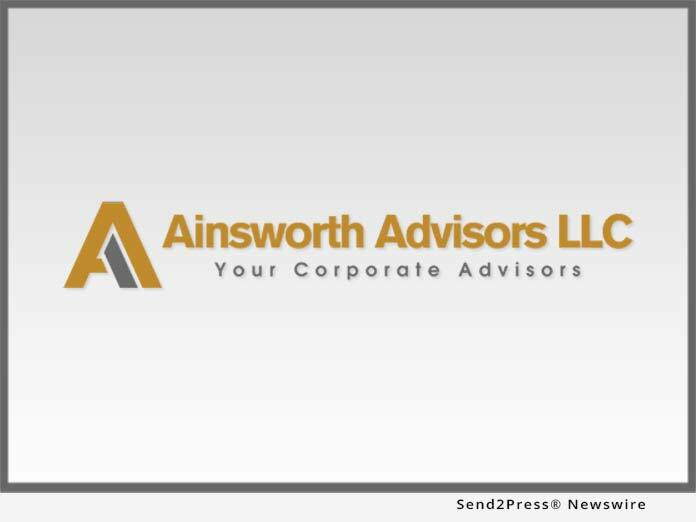 Ainsworth Advisors was formed by a group of mortgage industry leaders with over 300 years combined experience. Our goal is to offer strategic and tactical advice, help improve efficiencies and develop strong leadership. Every area of mortgage banking is represented by highly respected business leaders that understand your objectives and goals.